A multi-unit community. 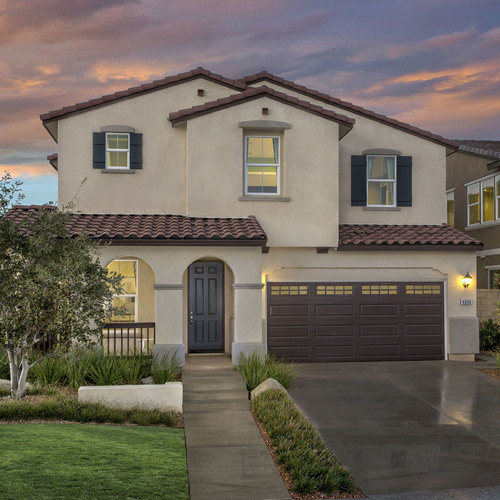 zHome townhomes are designed to operate at net zero energy. 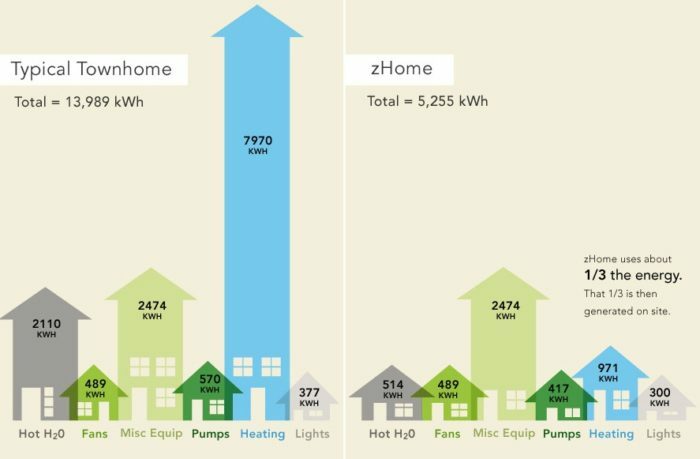 Image Credit: zHome About two thirds of zHome townhomes’ average energy requirements are addressed by energy-efficiency measures in design and mechanical systems, the rest by photovoltaic power. In addition to the expanded polystyrene installed in zHome 2x6 stud bays, another 3 in. of EPS was installed outside the wall sheathing. The exterior walls were insulated to R-38. Its construction delayed two years by the financial meltdown, zHome, a 10-unit townhouse project in Issaquah, Washington, has finally opened. The near-zero-energy project claims to be the Seattle area’s most energy-efficient and greenest multifamily development, and among the first of its kind on the West Coast. The project is a collaboration between the City of Issaquah and a number of regional partners, including the Built Green residential construction program, King County, Port Blakely Communities, Puget Sound Energy, the Washington State University Extension Energy Program, Seattle builder Matt Howland, and builder-developer Ichijo USA. The zHome website describes the project’s construction and expected performance features. Exterior walls are insulated to R-38 and the ceilings to R-60 with expanded polystyrene inside the wall studs and another 3 in. of EPS on the outside. 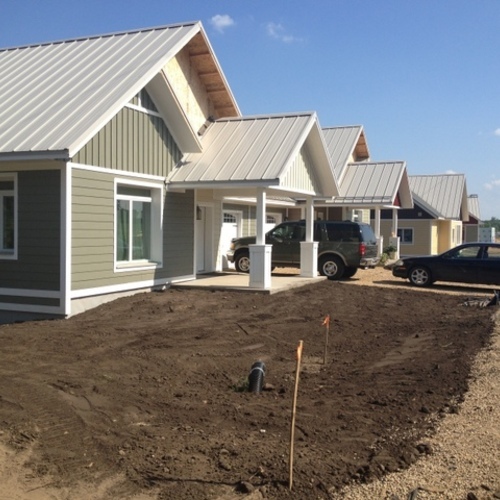 The townhomes are equipped with double-pane fiberglass windows with a U-factor of 0.33, ground-source heat pumps, and heat-recovery ventilators. 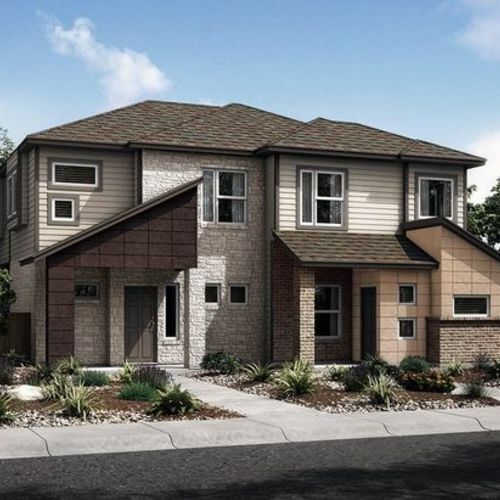 The development team calculates that, thanks to these features and energy-efficient lighting fixtures and appliances, the townhomes’ average energy use will be reduced by about two-thirds. The remaining one third will be addressed by roof-mounted photovoltaic systems. 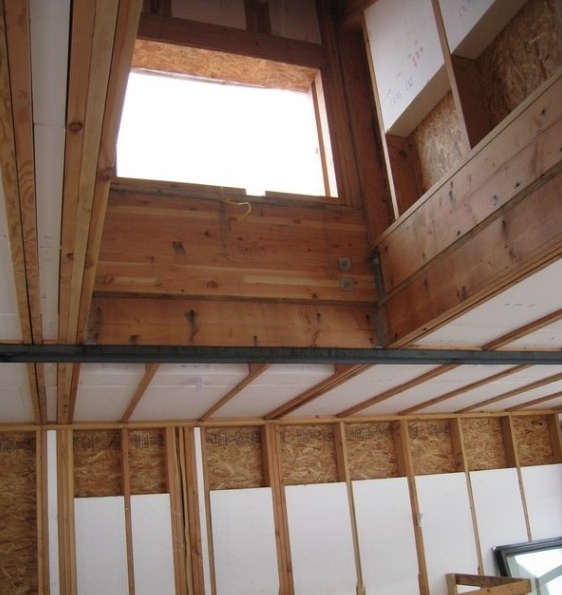 Tim Walsh, of Ichijo USA, told GBA that the Home Energy Rating System (HERS) scores for the townhomes ranged from zero to minus 12, and Tom Balderston, the project’s performance tester, added that air leakage rates ranged from 2.85 ach50 to 4 ach50, depending on the unit tested. Ten rainwater cisterns, with capacities ranging from 1,000 to 1,800 gallons, will supply water for toilets and laundry, and low-flow fixtures and appliances will help reduce water usage by an estimated 70%. About 78% of the wood used on the project is certified by the Forest Stewardship Council, and the zHome team also used a lot of recycled, reclaimed, and regional materials. 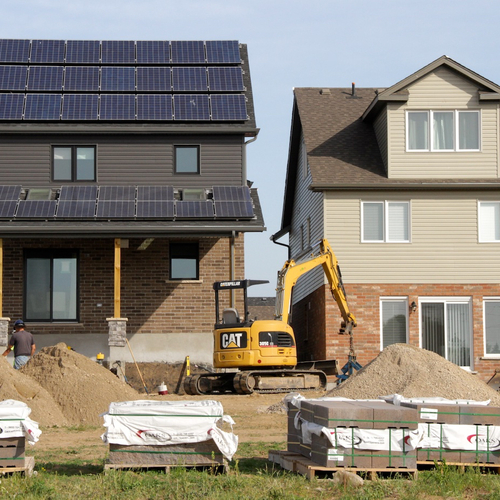 The project partners say that a key goal in bringing energy-efficient performance and green construction practices to prominence is to show the process can be cost-effectively replicated in mainstream housing production. To help highlight that possibility, one of the zHome units – the zHome partners call it the Stewardship Center – will be kept off the market for five years and used as a teaching and marketing facility for builders, designers, and students interested in zHome concepts that can be applied to new-home construction and retrofits. The other nine units are for sale, with prices ranging from the low $400,000s to the $600,000s. It's odd to see the EPS installed between studs and joists. I hope someone came along after that photo was taken to fill all the gaps and cracks with spray foam -- otherwise, that's a lousy insulation job. Judging on the ACH50 score, it doesn't appear anyone went around afterwards and sealed cracks. I just don't get how this is a 'model' for cost-effective housing - GSHP and hydronic heating? Meeting Passivhaus would have been more cost-effective (and the architect knew that, I talked with him about it) - upcharge to triple pane windows is far less than GSHP + hydronic system. And then foam galore - there are more cost-effective ways to be 'green'! One of the captions reads "the exterior walls were insulted to R-38".... a Freudian slip? I agree that some of the details sound iffy, but on the whole, isn't it better that something gets built so that public awareness gets built along with it? Thanks for catching our Freudian slip. It's been corrected.